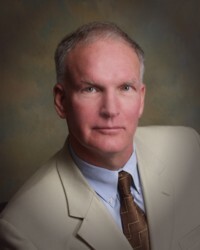 Douglas E. Noll, J.D., M.A. is a full time peacemaker and mediator, specializing in difficult, complex, and intractable conflicts. He is an adjunct professor of law and has a Masters Degree in Peacemaking and Conflict Studies. Mr. Noll is AV-rated and was a business and commercial trial lawyer for 22 years before turning to peacemaking. He is a Fellow of the International Academy of Mediators, a Distinguished Fellow of the American College of Civil Trial Mediators and on the American Arbitration Association panel of mediators and arbitrators. Mr. Noll was one of the first U.S. mediators certified under the international mediator standards established by the International Mediation Institute. He is listed in the Who’s Who of International Commercial Mediators. He is the creator of Negotiation Mastery for the Legal Pro, an on-line legal negotiation training course, and is author 0f the book Elusive Peace: How Modern Diplomatic Strategies Could Better Resolve World Conflicts (Prometheus Books, April 2011), winner of the Institute for Conflict Prevention and Resolution (CPR) International Peace and Justice Book Award for 2011.